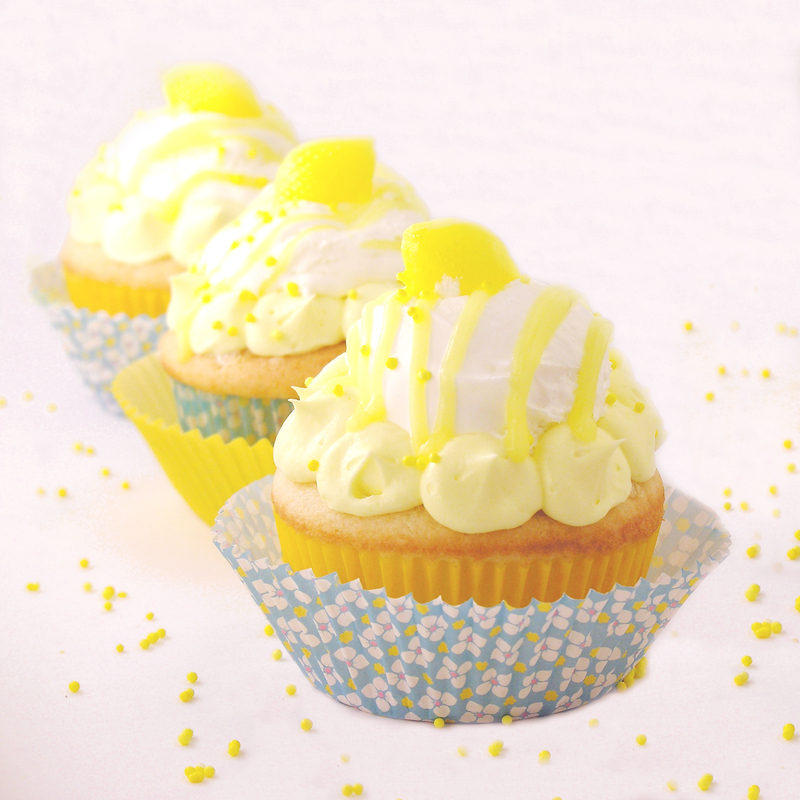 Delicious white cupcakes filled with a lemon cream and topped with lemon buttercream and a scoop of whipped topping! Yum!!! 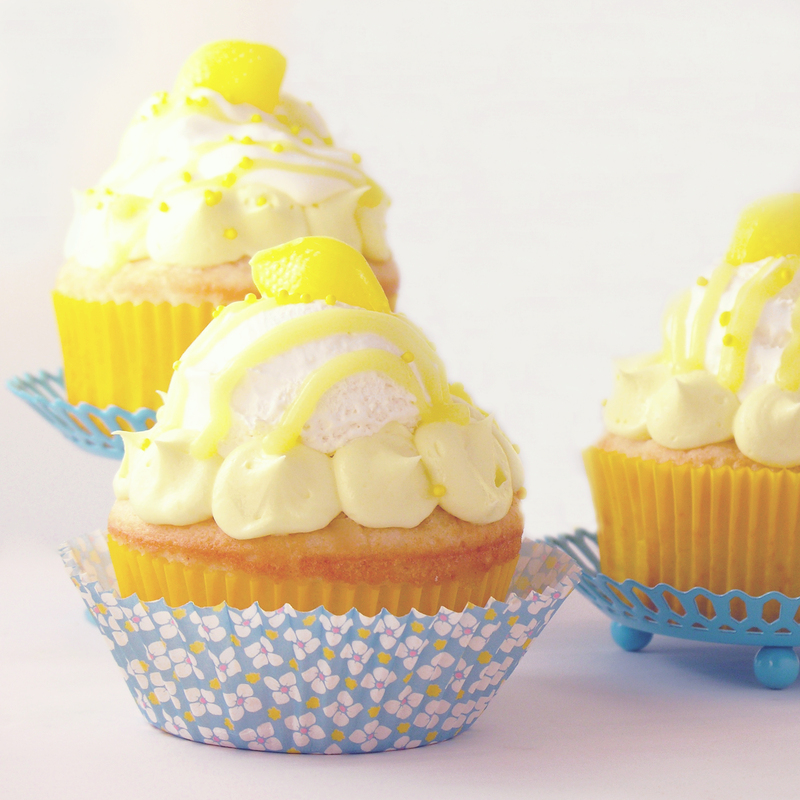 I love lemon- but in moderation. 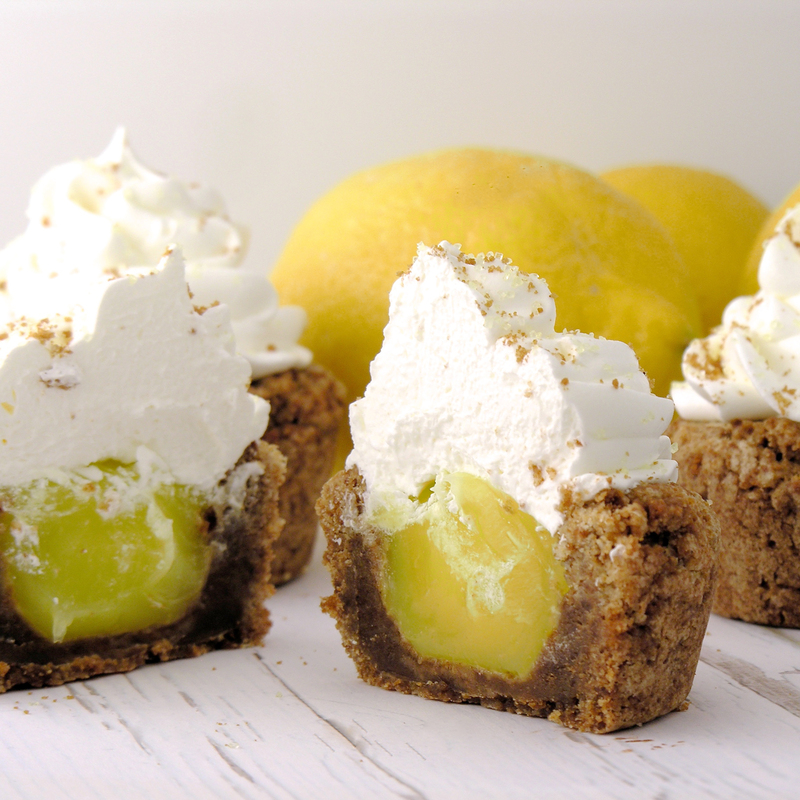 A dessert that is overwhelmingly lemon isn’t my favorite (which is why you see very few lemon recipes on this blog!) 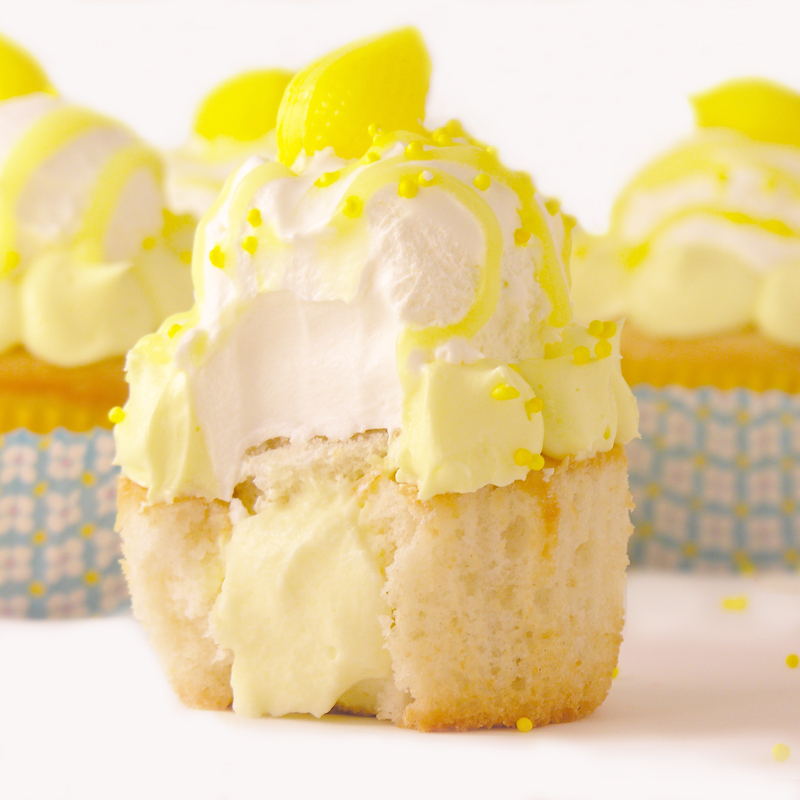 These are the perfect creamy mix of white cake and sweet lemon flavor though. I love them! 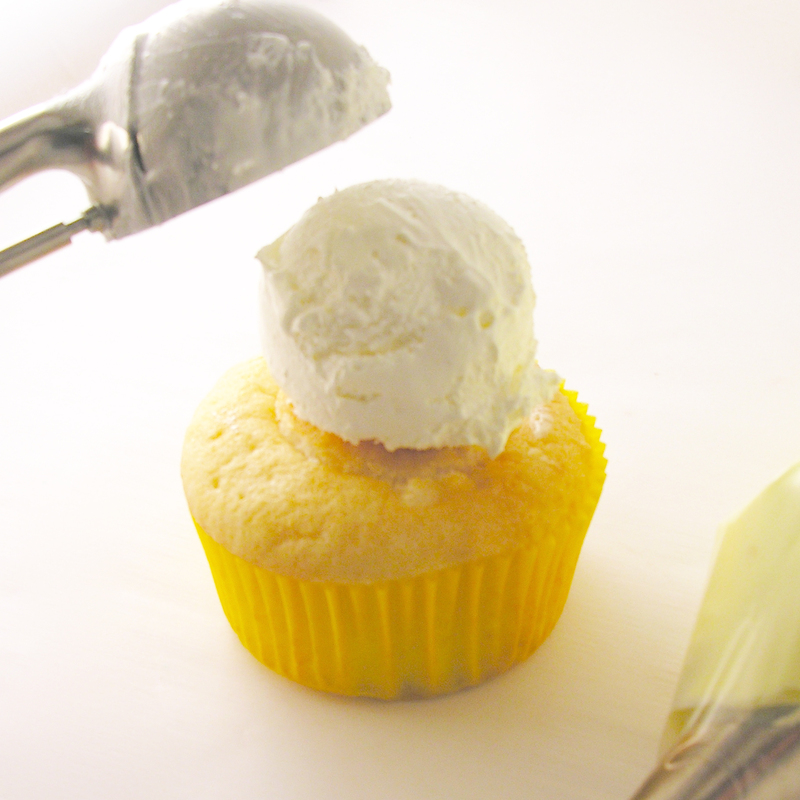 I’ve become a big fan of putting a scoop of whipped topping in the center of a cupcake and surrounding it with a flavored buttercream. 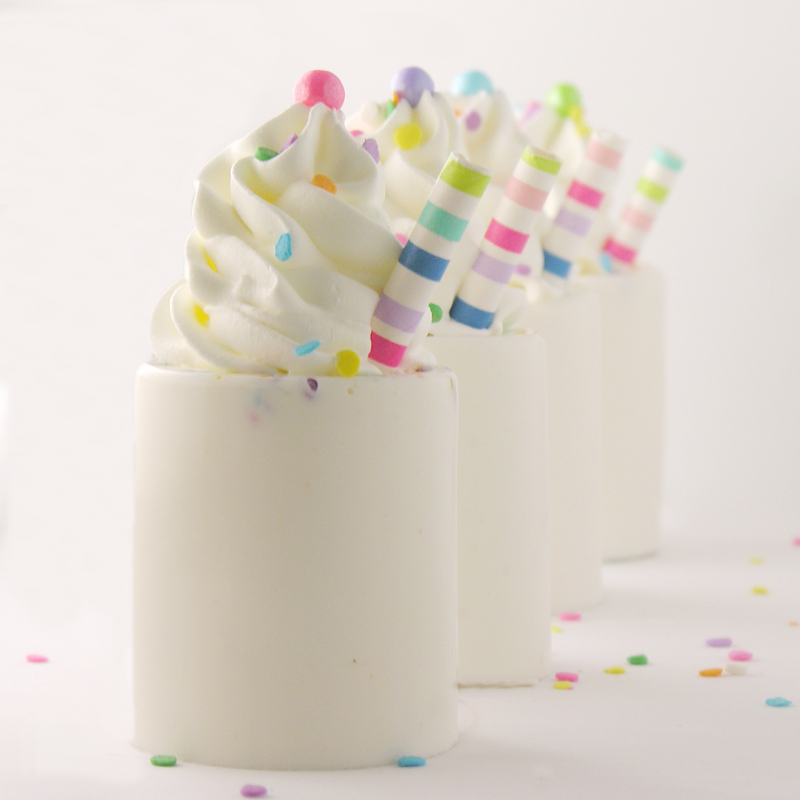 It cuts the sweetness and the flavor. 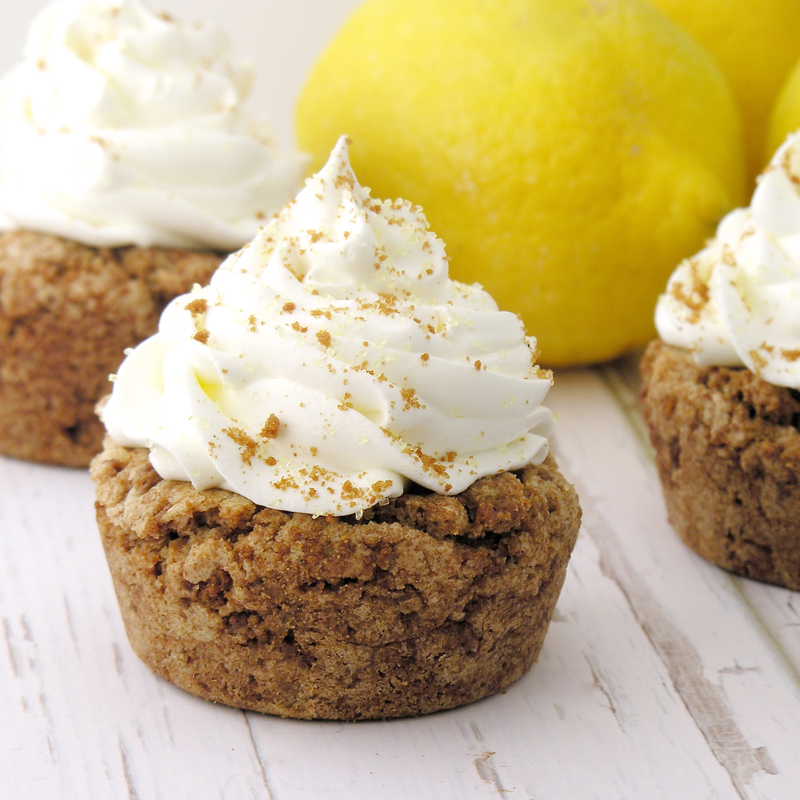 These also have a creamy lemon filling that is sooooo yummy. 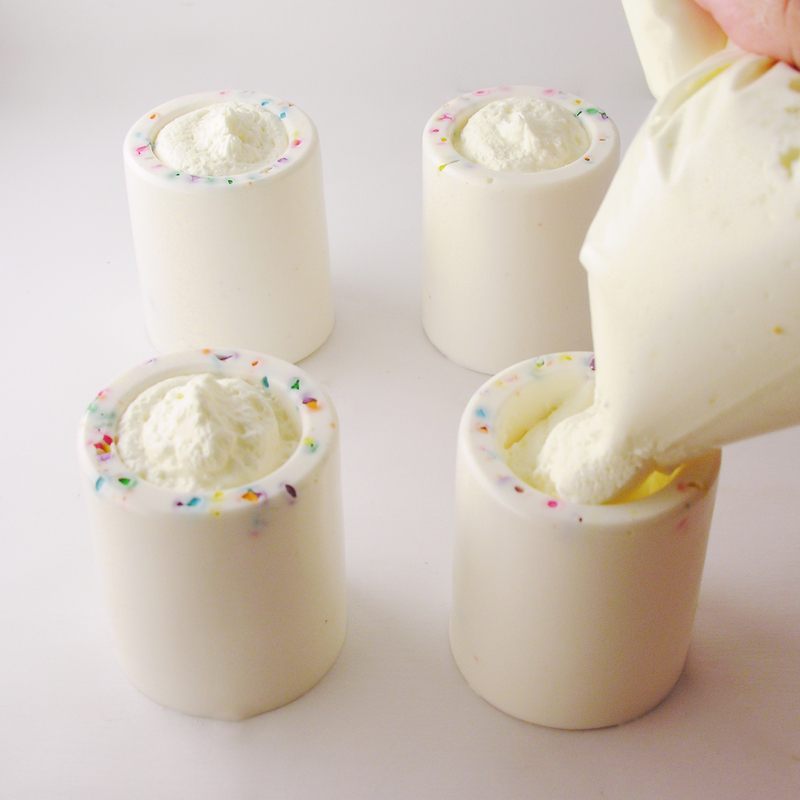 Make cake mix according to package and bake in 24 cupcake liners placed in a muffin tin. Cool completely. Make pudding mix according to package. Spoon about 1/3 cup into a small zip-top bag and set aside. 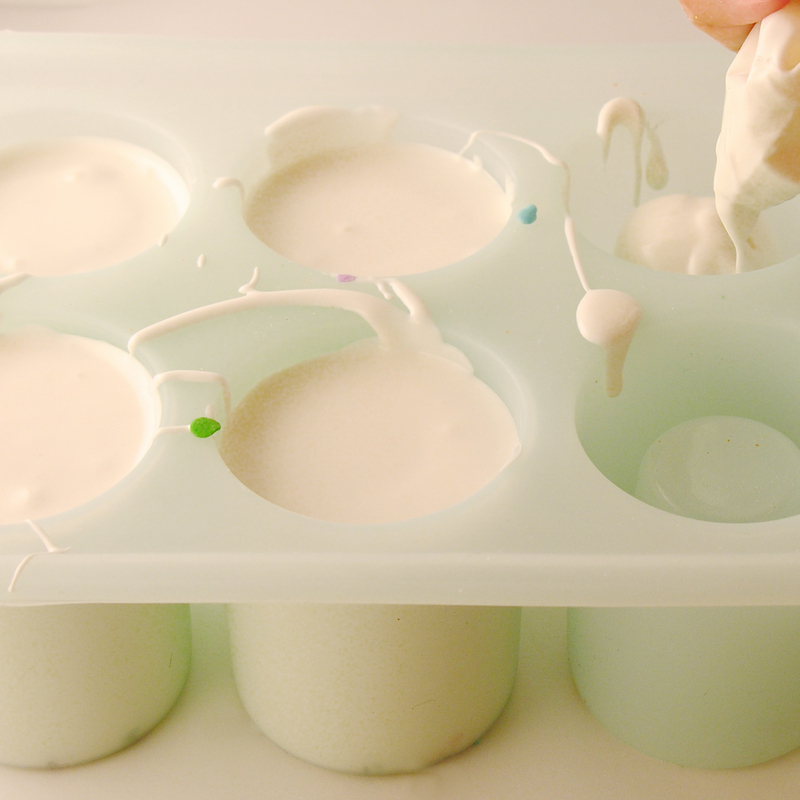 Add 1/2 of one container of Cool Whip, to remaining pudding, mixing until well- combined. Place in a zip-top bag and set aside. 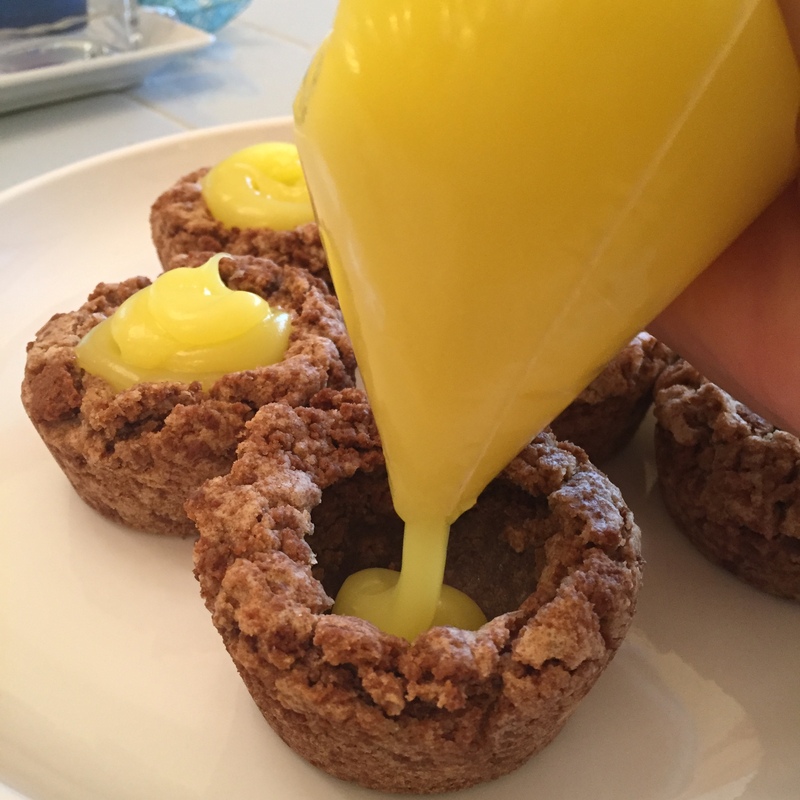 In a medium bowl, beat butter, powdered sugar, lemon extract and yellow food color together on high until light and fluffy. Place in a zip-top bag with a circular decorating tip inserted into one corner. Set aside. 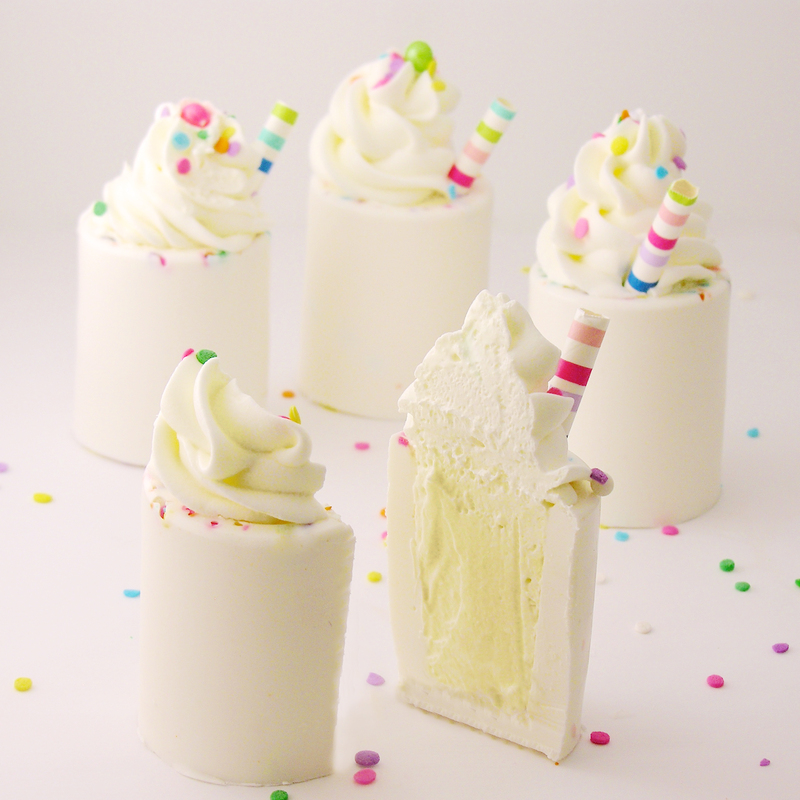 Remove a core from each cupcake. 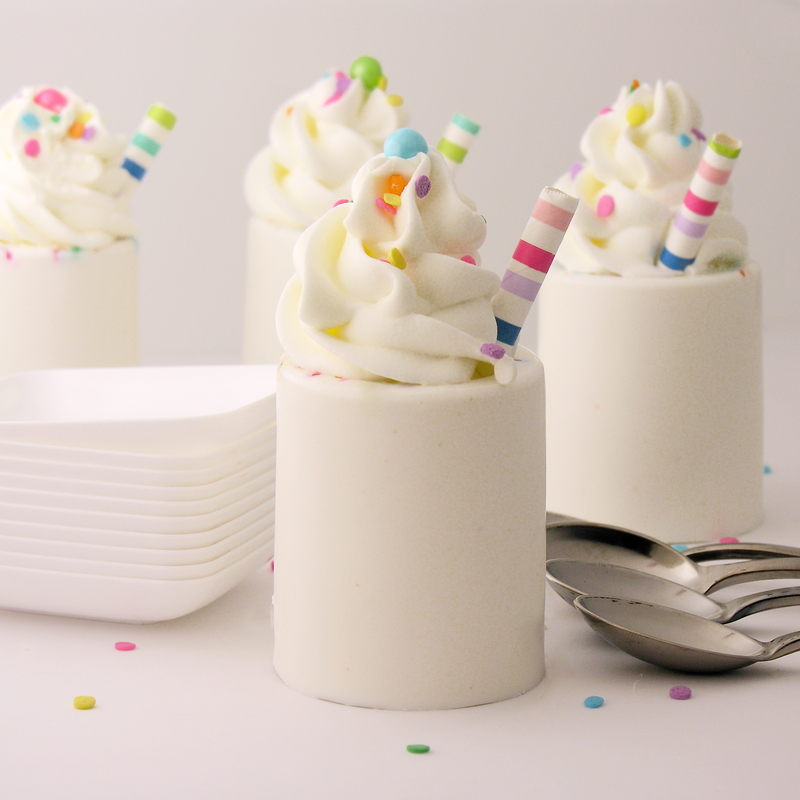 You can use a knife or a cupcake corer to do this, but save the top of this core. 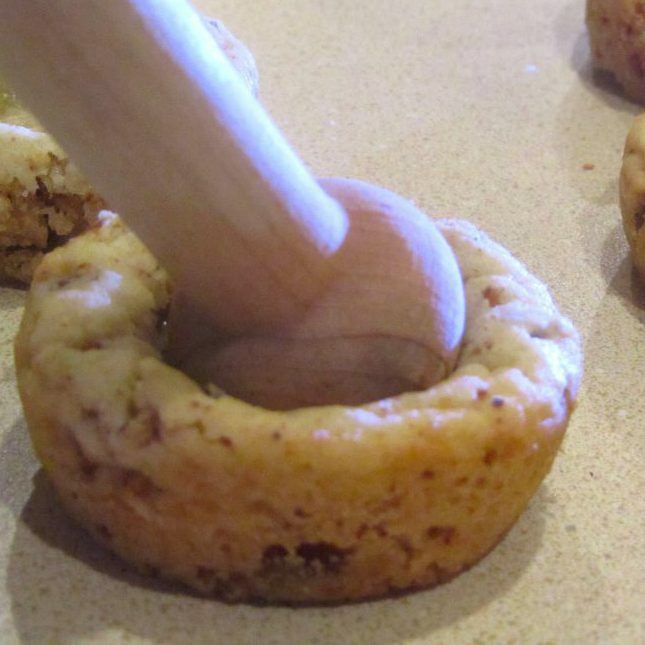 Clip a corner off the pudding/Cool Whip mixture bag and pipe this into the center of each cupcake, setting the top of the core back on when filled. 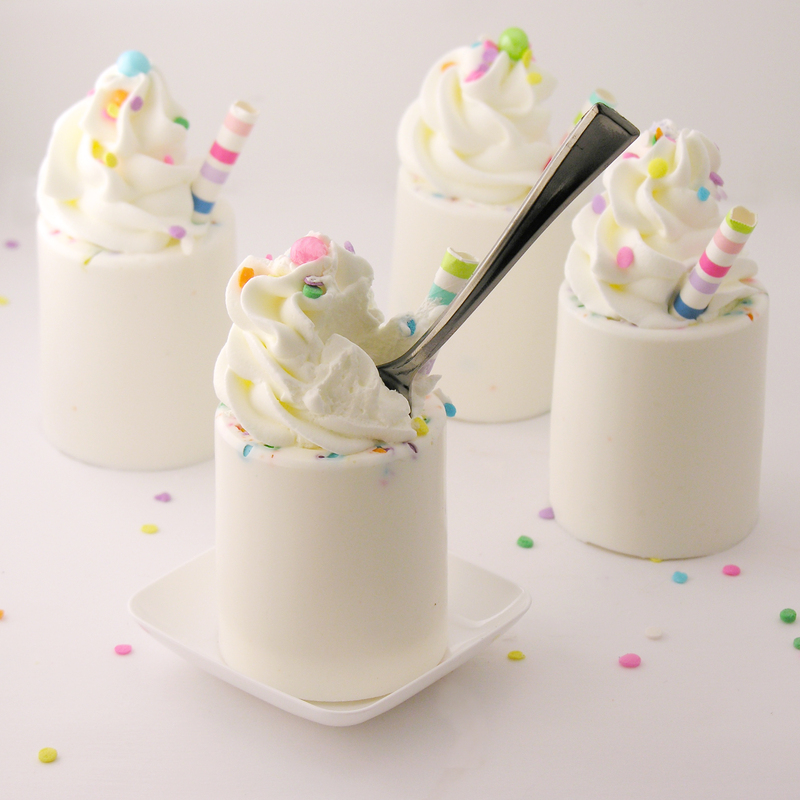 Use a medium cookie scoop, melon baller or ice cream scoop to spoon a rounded ball of frozen Cool Whip onto the center of each cupcake. 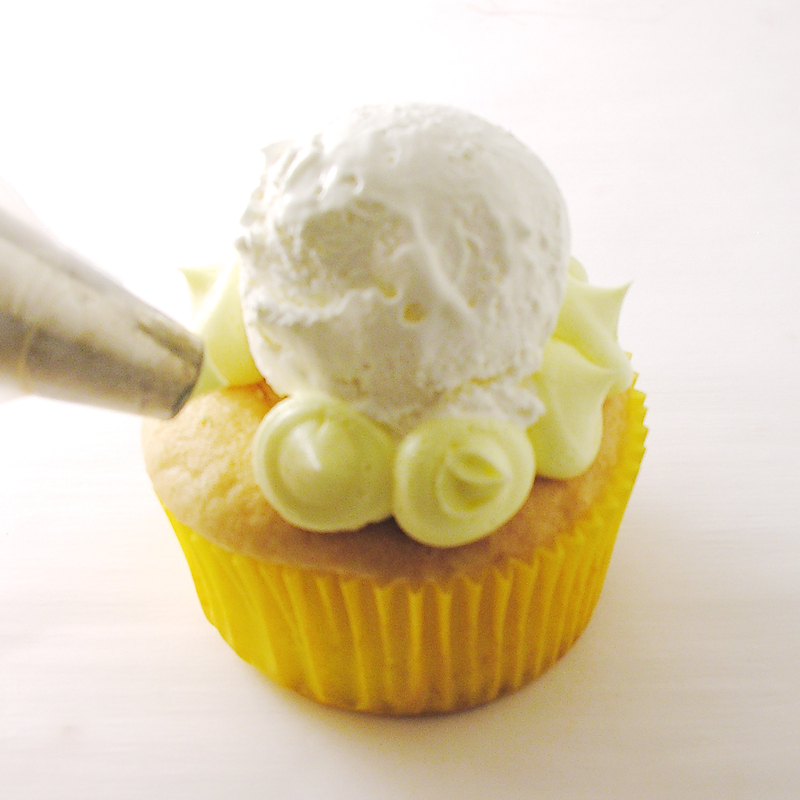 Pipe lemon frosting around the edges of this scoop by squeezing small circles of frosting all around the edge. Cut a small(!) 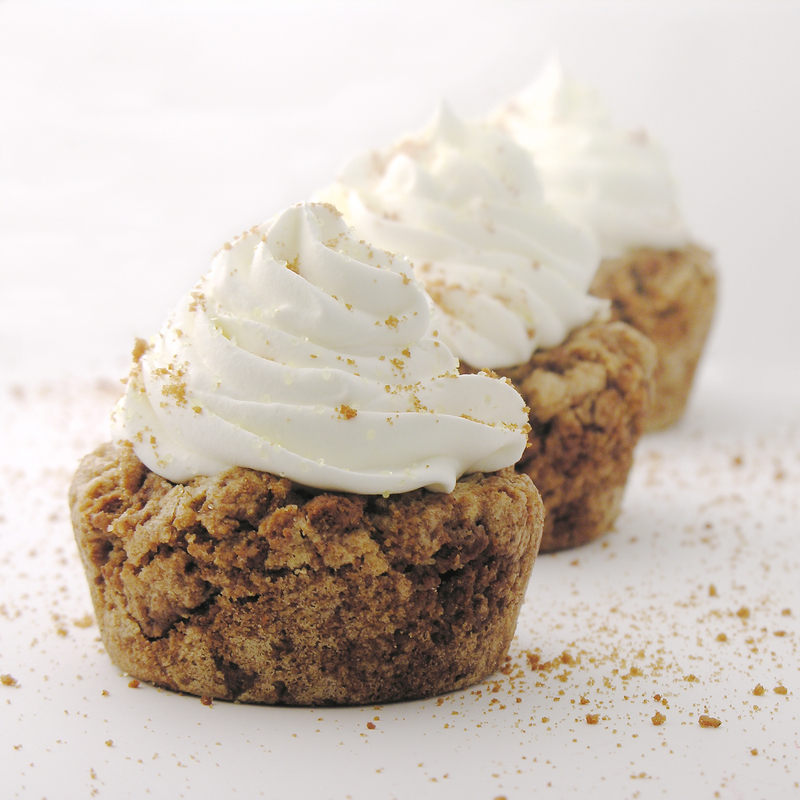 corner off the bag of plain pudding and drizzle this over the top. Decorate as desired. If you use a lemon drop, add this just before serving so it doesn’t get sticky. 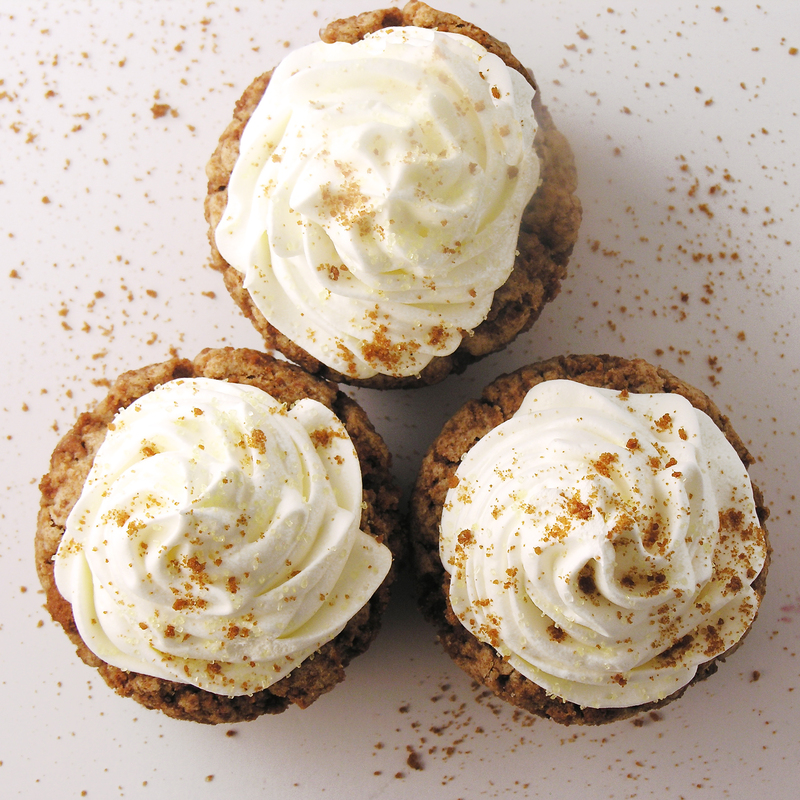 Keep these cupcakes refrigerated until serving. 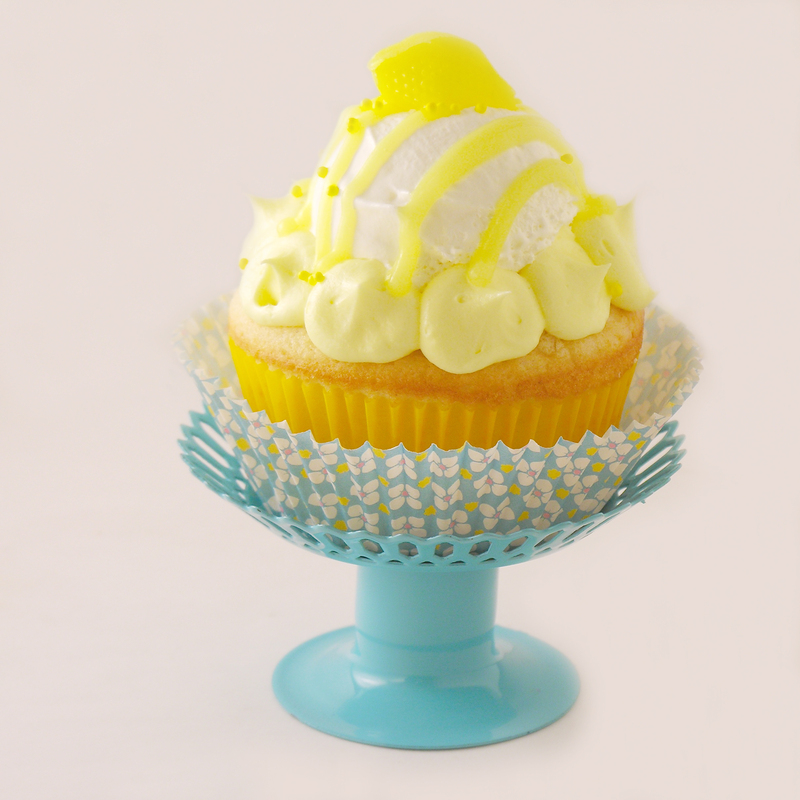 Posted in Cupcakes and tagged cool whip, cupcake, cupcakes, filled cupcakes, lemon cream, lemon cream pie, lemon cupcakes, lemon dessert, lemon drops, lemon pudding, summer cupcake idea, summer dessert, summer dessert idea, whipped topping. Bookmark the permalink.